Selling Used Boat Equipment? if you are one of the best places is UsedBoatEquipment.com. UsedBoatEquipment.com is a website for selling used equipment like a Craig’s list or eBay if you like, but emphasis is on the boating market. The benefits of a dedicated boat equipment site over eBay is, we specialize and focus on the needs of boaters. 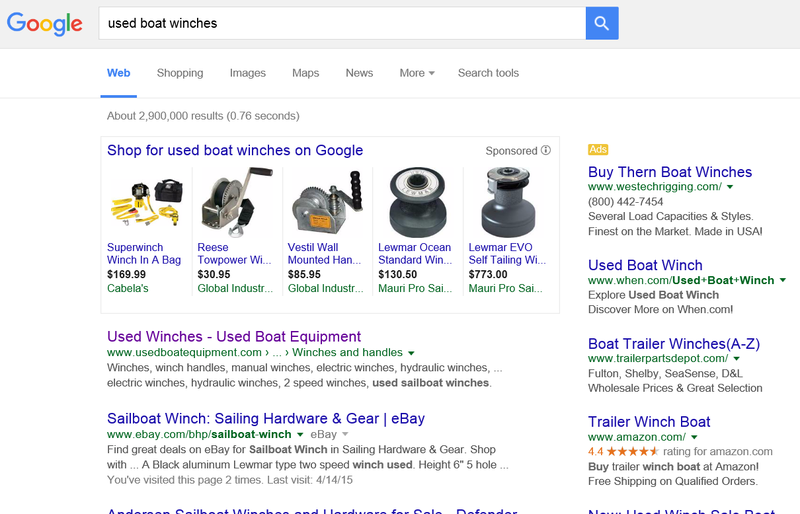 The problem for boaters with eBay is the reliance on keywords to find what you need. We made UsedBoatEquipment.com with a categories structure like you would find in an online store. We needed to allow for all equipment found on all boats, such as anchors, grills, boat lifts, tables, ladders, steering, electronics, engines, navigation equipment, safety, sails and rigging, inflatables, and water sports etc. if you type “Anchor” into eBay’s search bar you’ll end up with charm bracelets, wall anchors etc. Try “cateye tube” as in a towabe tube and you get lights and jewelry. Neither search brings up what you want. The point is that eBay uses keywords and unless you use the same keywords as the seller you won’t find the item you’re looking for. As a seller your items may not get found and therefore sold. This is the reason we went with a category structure like you would find at West Marine and other online stores. We went further by using a home page which has all the categories on the page. No need to use a drop down menu, get direct to the category you want. We have focused a lot of effort in SEO. Because we have a defined number of products to cover, i.e. those in our category structure, we can focus on search optimization for those terms. 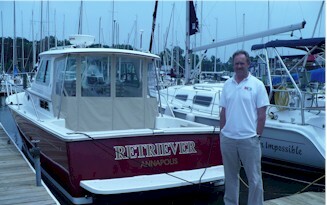 we have found that because we specialize in boating we have a smaller group and a social group. We have had buyers and sellers become friends. Sellers; our listings include a form to fill out which contains fields relevant to the category. For example; selling an outboard you’ll be asked for shaft length, fuel type, HP etc., sell an anchor you’ll be asked for weight, type material etc. This helps the seller get the right information into the listing rather than just a blank listing box. This also helps search so if a potential buyer is typing in a browser for an outboard with your HP and shaft length your ad will come up. Buyers; as mentioned the category structure lets buyers quickly find what they need. One of our members recounted that he put his old Autohelm autopilot from the mid 1980’s on the site. He ended up selling parts to two separate people extending the life of their Autohelm units. This made him some money and he helped a couple of fellow boaters which made him happy. Harken, North Sails and Beneteau are just a couple of examples of Manufacturers that have used us to sell their NOS, items no longer on the shelves but left over. Our channel allows them to sell this product without disrupting existing channels. Your customer could see some great deals like brand new North Sails at 50% due to some cosmetic flaw or they could buy some Harken stainless winches at big savings. That what our service offer Boat Owners on all categories of Boat Equipment. By encouraging everyone who has equipment lying in basements garages, and boatyards to list them, we make it possible for someone who needs it to buy it. That’s why the boating market needs a resource which is more closely focused on its particular needs. I’m in need of a 10′ x 2.25″ mast, preferably used, for a Phantom sailing dingy (like a Sunfish). Any ideas? Depending on your location, go to your local metal distribution center and buy the shortest extrusion available. Get 6061 T6 alloy (very common) and cut it to size.